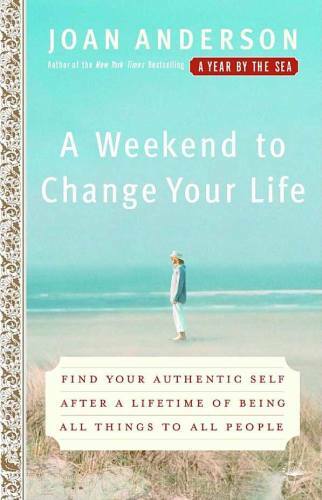 A Weekend to Change Your Life: Find Your Authentic Self After Being All Things to All People was written because so many women told me that my three memoirs had made a difference in their attitudes but now they wanted to take that next step. How could they, not only move beyond the various roles that they played, but truly develop themselves in the process? It is no easy trick to unravel a self, to drop old habits and climb out the box. When I looked back on how I managed to change my life during that year by the sea (and then develop a workshop program that would help other women do the same) it all boiled down to the six R’s. A woman would need to retreat, retrieve strengths from her past, repair the worn parts of her body and soul, regroup by getting rid of unnecessary baggage, regenerate by taking new paths and having adventure, and then (and only then) return to her old life as a new person! This book draws on the workshops and what I’ve learned, not only from my own journey, but the journey of the thousands of women that have done the R’s. Through essays, gentle instructions, and simple disciplines or exercises, the reader will be able to re-arrange her life in her own image and find her long-neglected talents.